Aaron Kreider is a junior in the Schreyer Honors College majoring in Criminology and Sociology and minoring in Communication Arts & Sciences. He is the Vice President of Penn State Mock Trial as well as the Vice President and Co-founder of Penn State Moot Court. Aaron is also the treasurer of Penn State Odyssey of the Mind, an Embassy Education Chair for the Penn State Lion Ambassadors, and a mentor for the Undergraduate Speaking Center. Aaron has admired State of State since his freshman year and is incredibly excited to be the emcee this year! 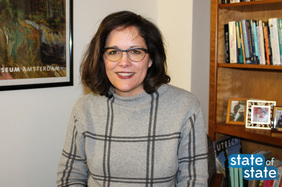 Susan Russell is an Associate Professor in the School of Theatre at The Pennsylvania State University in State College, PA, where she teaches graduate and undergraduate literature/criticism, Playwriting, Musical Theatre History, and Women in Theatre. She received her PhD in Theatre Studies from Florida State University’s School of Theatre in 2007, her MA from Florida State University in 2003, and her BA in Theatre from St. Andrews Presbyterian College in Laurinburg, NC in 1979. Between her education pursuits, she experienced a twenty-five year career as a professional actor on and off-Broadway. In 2013 she was selected as one of the Faces of Penn State, and in 2014, Russell was appointed as The 2014-2015 Penn State Laureate. 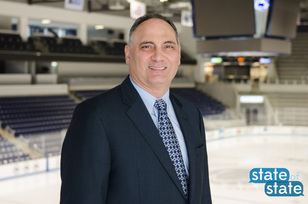 Joe Battista is a 1983 graduate of Penn State’s Smeal College of Business, was an original member of the Lion Ambassadors, and Captain of the Penn State Hockey team. He is currently the owner of PRAGMATIC Passion Consulting. He was Vice-President of Hockey and Business Administration for the Buffalo Sabres of the NHL from 2013-2015. For 26 years, from 1987-2013, Battista served in several capacities at Penn State. He was Associate Athletic Director for Pegula Ice Arena & Hockey Development, and was instrumental in facilitating the largest gift in Penn State history, an $88 million donation from Terry and Kim Pegula which eventually grew to $102 million. He was also the Penn State Ice Hockey Head Coach for 19 years, during which his teams earned 512 wins and 6 ACHA national titles. Eric Barron was appointed 18th President of Penn State in 2014. Previously, Barron served as President of Florida State. Earlier in his career he spent 20 years at Penn State, including serving as dean of the College of Earth and Mineral Sciences. He has nearly 35 years of leadership experience in academic administration, education, research and public service, as well as a track record as a talented manager of fiscal policy within large and complex institutions. An accomplished scientist, Barron earned a B.S. in geology at Florida State and his M.S. and Ph.D. in oceanography at the University of Miami. Dr. Moses Davis, affectionately known as “Dr. Moses” by the students, works as the Director of the Multicultural Resource Center at Penn State University. His research focus looks at the relationships of race and culture and how we build the capacity for intercultural competence. He is a true believer that each of us has the ability to change the world and leave a lasting legacy for those who come after us. 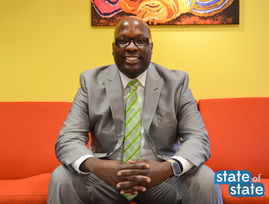 He is an advocate for social change and is a trainer/educator in diversity and social justice. His favorite quote is “Be the change you wish to see in the world.” by Mahatma Gandhi. Jen Grossman Leopard is originally from Columbus, Ohio. Jen obtained her B.A. in History from Wittenberg University in Ohio and her Master’s Degree from Penn State in College Student Affairs. 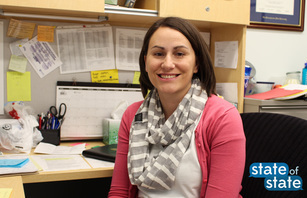 She worked in Student Life at the Altoona campus and then came back to University Park to work in the Student Activities Office as the Program Director for Student Organizations. She is now the Assistant Director for Student Organizations and is working on her doctoral degree in Higher Education. Her husband, Nathan, works in the Development Office for Smeal and they have their daughter, Caroline, and their son Jack. Nicholas Rowland knew he wanted to be a professor after seeing Indiana Jones as a five-year-old kid. University-life was not all whips and snakes, but after graduating from a small private school in Minnesota he earned a full-ride scholarship at Indiana University to study sociology and, ultimately, gain a PhD. Now, as an Associate Professor of Sociology and Science and Technology Studies, he puts a lot of emphasis on student engagement, especially undergraduate research. "Instead of talking about research," Rowland says, "we live it," which, it turns out, is a fitting introduction to his talk about "living" our traditions. Jacqueline Edmondson is Associate Vice President and Associate Dean for Undergraduate Education at Penn State. Her books include biographies for adolescent readers about Venus and Serena Williams, Condoleezza Rice, Jesse Owens, Jerry Garcia, and John Lennon. She edited the four-volume encyclopedia entitled “Music in American Life: An Encyclopedia of the Songs, Styles, Stars and Stories That Shaped Our Culture,” which won the 2014 Outstanding Resource Award from RUSA/ALA. She plays violin with the Nittany Valley Symphony, and serves on the board for The Music Academy and the Pennsylvania Humanities Council. Jackie has two sons who are Penn State alumni. 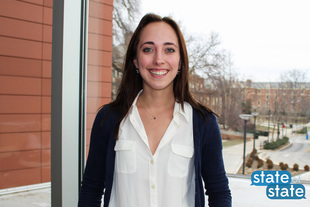 Taylor Sweeney is in her last year of Architectural Engineering. 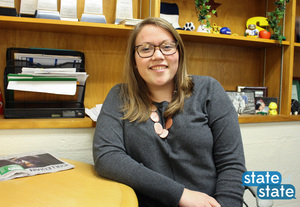 She has previously served as both the Executive Director and a Service Sites co-Director for Fresh START Day of Service, which is a day of service centered on getting students new to University Park involved in community service. 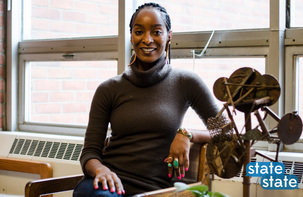 She is currently serving as the Executive Director of Students Engaging Students, which is an organization that focuses on student leadership and community service. Taylor will be discussing the difference between community service and philanthropy, and the fact that while they are two different things they are mutually beneficial to each other. 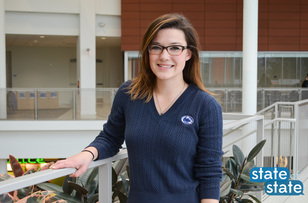 Darian Somers is a senior studying print journalism while working at The Daily Collegian. He is also the president of Nittanyville and a lifelong Penn State football fan. Darian will talk about where Penn State as a school is headed and how it's been divided since 2011, looking at the name change from Paternoville to Nittanyville as an example of this division. Ryan Valencia is a senior studying International Politics and History, with a minor in Anthropology. 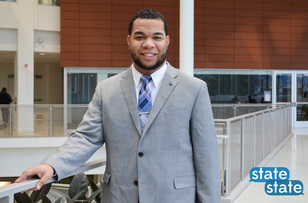 He currently serves as both an At-Large Representative and the Chair of the Governmental Affairs Committee for the University Park Undergraduate Association (UPUA), the student government representing University Park’s undergraduate students. 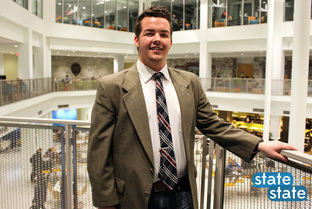 He further serves as the President of the Penn State College Democrats. Ramon Guzman Jr., is a senior studying Education and Public Policy with minors in Political Science and Sociology. Currently, Ramon is the executive director for the 2016 Class Gift Campaign, a Lion Ambassador, and a BLUEprint peer mentor. 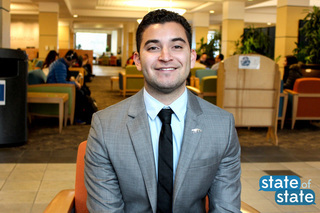 He is also Mr. Latino Penn State 2015, representing the Latinx student body within the University. Ramon will be speaking about the invisibility of Latinxs when we say “communities of color” and how we can become a more culturally inclusive university to enhance the experience of all Penn State students. David Gaines is a spoken word artist, actor, and student at the Pennsylvania State University. Gaines is currently majoring in Theatre and English while co-leading the creative writing organization--Penn State Writers Organized to Represent Diverse Stories (W.O.R.D.S.). Hailing from uptown Philadelphia, Gaines spreads his rap-influenced style of spoken word that he’s been developing since 2012. He’s performed his poetry for small intimate open-mic audiences and large energetic crowds at events such as the African Student Association’s Touch of Africa and THON. Gaines is also an active thespian, acting in various School of Theatre productions. 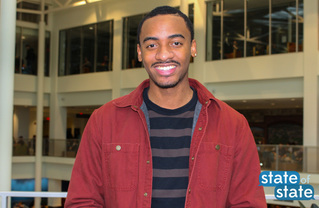 In 2016, Gaines will be representing Penn State at the College Unions Poetry Slam Invitational (CUPSI) as a member of the University’s first CUPSI team. If you see him around campus, don’t be afraid to say hello! 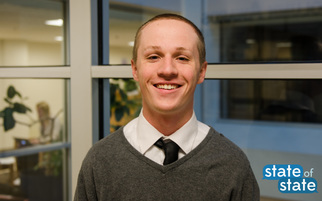 John Connolly is a senior in the Schreyer Honors College majoring in Chemical Engineering with a minor in Engineering Leadership Development. He stays busy as the Treasurer of the Penn State Thespians and as the Co-Founder and President of the Performing Arts Council. John will be talking about the challenges of changing student culture through the lens of performing arts and how Penn Staters everywhere can contribute to strengthening the Penn State community through engagement in the student body. Abigail Kennedy (’17) studies English and Secondary English Education with minors in History and Latin American Studies. She performs in The Coda Conduct a cappella group and the Penn State Slam Poetry Competition team. 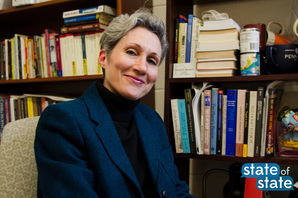 She coauthored the children’s book, Madam President: Five Women Who Paved the Way, with the Schreyer Honors College’s Dr. Nichola Gutgold to promote the influential lives and careers of women who have run for the Presidency. In her talk, Abigail proposes the renovation of all first year writing courses to incorporate more feminist and multicultural perspectives. 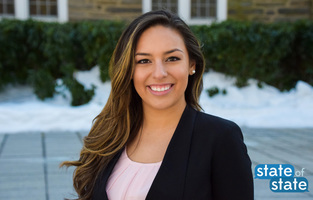 Melissa Aguilar is a senior in the Schreyer Honors College studying Psychological and Social Sciences and minoring in Women’s Studies at Penn State Abington. She has served as the THON Chair for her campus as well as an Orientation Leader and research assistant. She was also the recipient of the prestigious Walker Award for her contributions to her campus. Melissa is a proud commonwealth student who will be talking about the value of a degree from a Commonwealth Campus. 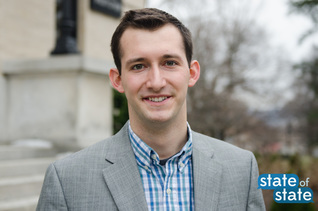 Skylar Slotter (’16) is studying Security & Risk Analysis and Information Sciences & Technology. She is a member of the Penn State Lion Ambassadors and will be working for KPMG’s Cyber Advisory group in Washington, D.C. after graduation. Skylar will attempt to explain why, when the gender gap that exists in technical fields is common knowledge, we haven’t seen enough significant change in the numbers of women exploring the opportunities that exist in tech and how and why we should all work to empower women to explore STEM fields.